Less than a year after the Kisan long march from Nasik to Mumbai, farmers, tribals and landless labourers will once again be protesting on the same route. 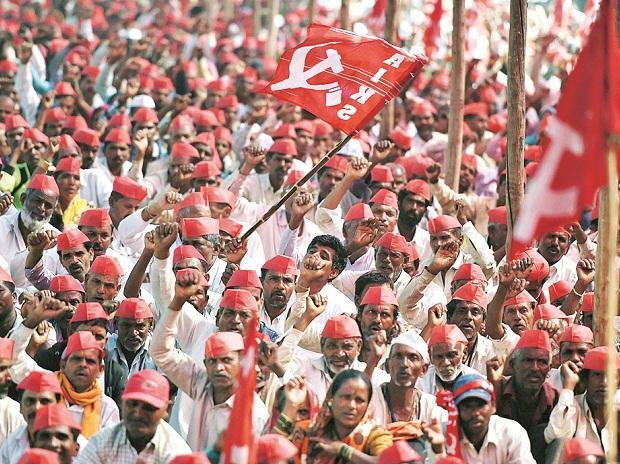 Organised by the CPI(M)-affiliated All India Kisan Sabha (AIKS), the protest march will begin in Nasik on February 20 and conclude in Mumbai on February 27. According to the AIKS, the number of protestors – at 80,000 – is likely to be twice as much as last year. “The march is going to be bigger than last year. The numbers are more and the days of the protest are also more,” said Ajit Nawale, Maharashtra AIKS general secretary. The AIKS has alleged that the promises made by the Devendra Fadnavis-led Maharashtra government after last year’s protest have not been fulfilled. “A year has passed, but the government has not executed its promises. There is dissent among the farmers,” the AIKS said in a statement. In October 2018, Paul Fernandes, Bikash Kumar Sahoo and Geetanjoy Sahoo, analysed for The Wire the performance of the government as compared to the promises that it had made after the March 2018 long march. They found that “there is a huge gap in the intended intervention by the state government and ground realities across Maharashtra”. “The state government has announced a loan waiver package of Rs 34,000 crore in 2017, the government officially announced that it has been able to disburse only Rs 17,000 crore so far. We want the government to take immediate steps to fulfil the commitment made to the farmers,” said Ashok Dhawale, AIKS president. The AIKS is demanding that loans be waived, minimum support prices be set at cost plus 50% and the implementation of the Forest Rights Act. In addition, the AIKS is also demanding that the government take urgent and immediate steps to deal with the grim drought situation in the state. On February 13, the AIKS alleged that the government has been attempting to scuttle the protest march. “They are lodging cases against me and trying to arrest me just to jeopardise the march,” said Nawale. The AIKS had organised a convention in Ahmednagar to prepare for the protest and several people were booked under Section 188 (disobedience to order duly promulgated by public servant) of the Indian Penal code. “Nawale and 100 others were planning to assemble without permission and there is a general order against assembling in large numbers in a public space without permission. They had not sought permission from the collector,” Local Intelligence Bureau officer Tanvir Shaikh told The Wire. Nawale disputes that permissions were not taken. “We had all the necessary permissions needed. There was no breach of peace,” he said.